Look away, Yorick enthusiasts—this wasn’t pretty. Fresh off a 0-2 opening week, 100 Thieves looked to find their first win of the season with the recently-buffed top lane Yorick against the reigning LCS champions, Team Liquid. “This is one of our random drafts that happened to work very well, and I’m really happy to pull it out this week on stage,” 100 Thieves head coach Neil “pr0lly” Hammad said on his team’s composition against Team Liquid, which starred the seldom-seen Yorick top lane. With the new patch came buffs to Yorick’s ghouls and maiden, making him an even better splitpusher. At first, the Yorick pick looked decent. 100 Thieves top laner Kim “Ssumday” Chan-ho bullied Jung “Impact” Eon-yeong’s Sion throughout the laning phase with constant harass from his ghouls—and his team was even able to take down Impact with gank. But after that one death, Team Liquid made it a priority to shut down Ssumday with repeated ganks and multi-man roams. The reason Team Liquid were able to focus their collective attention on Ssumday came as a result of their bottom half of the map crushing the laning phase. Team Liquid’s bottom lane got an early kill onto Bae “Bang” Jun-sik’s Viktor, a play that caused the 100 Thieves AD carry to fall further and further behind as the game progressed. 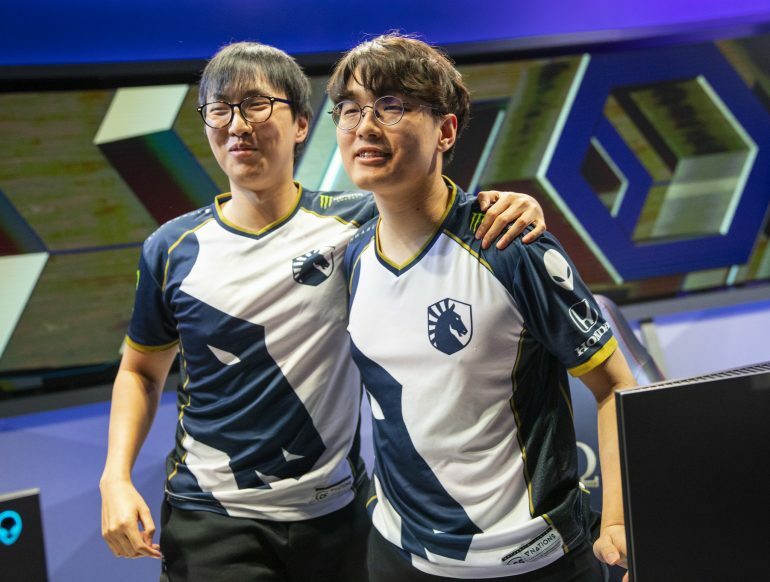 “It was pretty over after [Bang] died one time but then our team was like also playing really well together so we dove their bot lane, made them lose tower, [and] then it was just game over,” Team Liquid AD carry Yiliang “Doublelift” Peng said when explaining the bot lane matchup. Rather than Viktor, Doublelift and Team Liquid expected 100 Thieves to draft the popular AD carry Ezreal, a champion Doublelift teased to have “a special pick” in response to. Team Liquid seamlessly transitioned their laning leads to teamfight success—and 100 Thieves weren’t able to do anything. Unable to splitpush due to the amount of pressure Team Liquid had, Ssumday’s Yorick was near useless, with his maiden being nothing but a slight annoyance during teamfights. Team Liquid will look to extend their win streak to four on Feb. 3 when they face Clutch Gaming at 4pm CT.